A Victorian period (about 1875) solid walnut table has a drawer with hand carved pulls and round "pin and cove" dovetail joints. 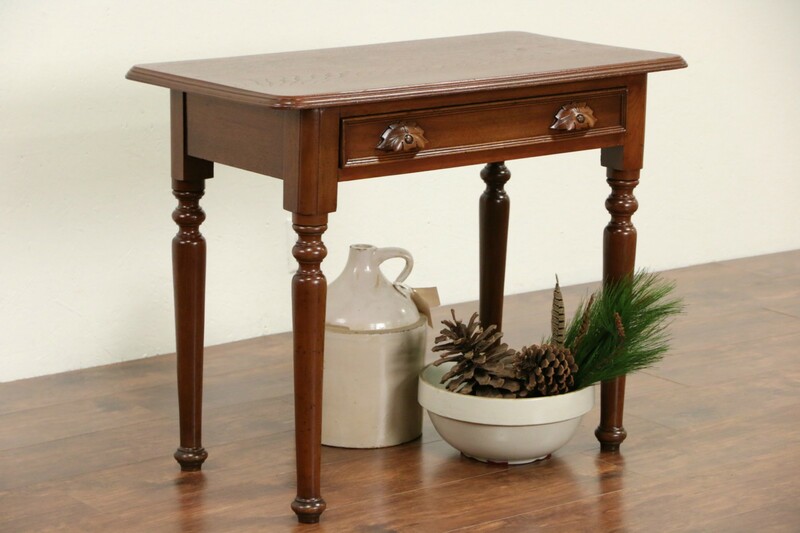 The finish is in excellent condition on this American made antique furniture. The shaped top is cut from a single plank of walnut. Dimensions are 34" wide, 19" deep and 27" tall.